We have great news! As many of you know, Blue Oven has been setting up shop at our Findlay Market stall on Fridays for the past year and change with our Toast Bar and assorted varieties of bread and of course English Muffins. 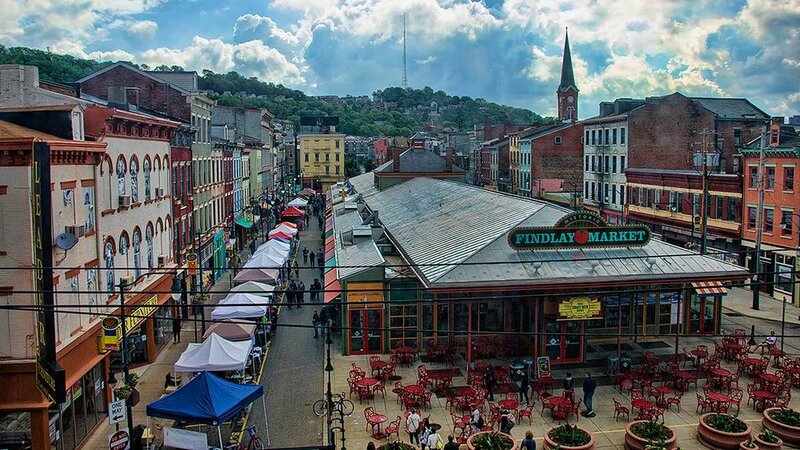 We're now setting up on Thursdays as well, and we're super excited to be able to offer our downtown customers another day they can come find us at Findlay Market. Join us for our first Thursday this week! In other news, the Northside Farmers' Market moves back inside to the Northside Presbyterian Church this Wednesday. As always we hope to see you there! We've added a few new restaurant partners in recent weeks, go to our Restaurants tab and refresh your memory on where you can book a reservation, enjoy great food and see Blue Oven featured by some of the greatest food minds the Cincinnati area has to offer.